There is a struggle with temptation that is current and that is real. Here is the fourth in our series of things preachers tend not to say: I feel the force of real temptation, and I am not always victorious. This is a tricky one, isn’t it? We are told that people love to hear a preacher being vulnerable and authentic. At the same time if the preacher simply lays it all out there, then credibility tends to fade through the floor. One person suggested on this site that it is not good to be vulnerable about sin that is currently still in process. Work it out and then share appropriately. That is probably wise. But whether we tell recent stories or not, there is a struggle with temptation that is current and that is real. Some preachers may be struggling with their fleshly reaction to others. Some preachers may feel like lust is in full attack mode. Some preachers may feel like their victory over some private temptation is less than all-conquering. That is not to say that the preacher is therefore living in sin. They may be living in victory and yet still feel worn down by the constant temptation. We tend to focus talk on sin in areas of overt misconduct – lust or theft or whatever. But what about the more “sanctified” sins … the popular churchy ones. It is not easy to talk about ongoing struggles with pride, or poor self-worth, or unresolved conflict, or temptation to gossip, or whatever. The truth is that while there may be no disqualifying disaster sin lingering like a skeleton in your preacher’s closet, there is a daily and weekly battle with temptation that is wearying and real. We may not be losing control and assaulting others in fits of drunken rage, but there may be some self-protective habits in life, and there may be some tensions in the home or the church that tempt us to lash out, or numb the pain, or escape, or whatever. Sometimes people treat the preacher in such a way that the preacher is the only person in the church who feels unable to share their struggles. 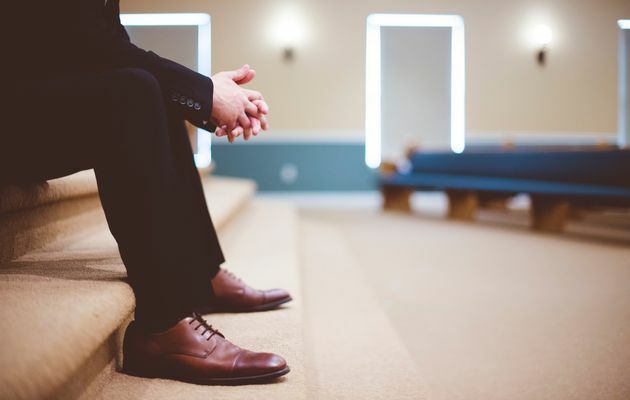 After all, not only is the preacher potentially not being vulnerable, but in some churches there is nobody else creating hope of grace and love if the preacher were to express their own struggle or failure. Preachers struggle with temptation too, and preachers sin too, and it would be really helpful to get some real conversations going.